Welcome back to our blog! Now that spring has officially begun, the signs of new life, regrowth, and rejuvenation are all around us here in beautiful Circleville. With the freshness that spring provides, it’s no wonder that people all across our community will start their spring cleaning in the weeks to come. But as you go about your spring cleaning routine, ask yourself, “How’s my plumbing?” After entertaining guests during all those magical holidays, your household plumbing could probably use some TLC this spring. 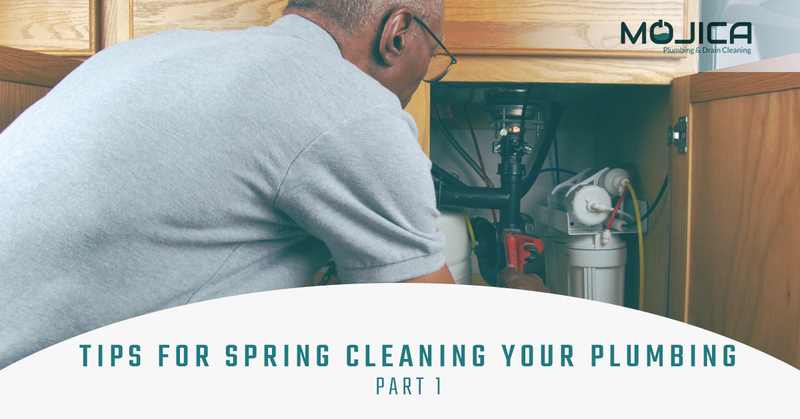 So as you bust out the vacuum, the duster, and that trusty mop, here are some tips to follow for spring cleaning your plumbing. First, check your kitchen faucet for leaks. Generally, fixing a leaky faucet is as easy as replacing one of the components such as the spout O-rings or the O-rings on valves. Tighten loose parts and replace any components that could use an upgrade. Flush and clean your kitchen drain to remove buildup. Enzymatic drain cleaner will be your best option, but if you don’t have any cleaner, you have other options! Try pouring boiling water down your sink to loosen up debris in your garbage disposal and pipes. You can also pour baking soda and white distilled vinegar (preferably hot vinegar) down your drain to clean your pipes and disposal while reducing unpleasant odors. Scrub the winter grime from your kitchen sink to remove soap deposits, hard water stains, food stains, rust, and any other imperfections. While dish soap, hot water, and a non-abrasive scrubber will likely do the trick, you might need something a little stronger for tough, stuck-on debris. You can get rid of rust using WD-40 and cloth. Check your kitchen pipes for leaks and faulty plumbing fixtures. 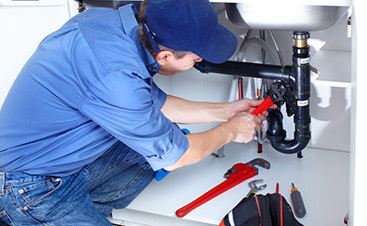 If you need any plumbing repairs or replacements, call Mojica Plumbing! We’d be happy to install updated plumbing fixtures to improve efficiency and function! As you clean out your refrigerator and freezer, inspect the cooling systems and ice maker to ensure there is no leakage, which could result in water damage and reduced performance. Don’t forget your dishwasher! These appliances should be checked and cleaned regularly to ensure they function properly and without any leaks. Okay, this is not super fun — but it must be done. You know that slow drain you’ve been having? All the hair from your long-haired family members and visiting guests that has gone down the drain has finally caught up with you. To remedy this common plumbing issue, unscrew your drain cover in your sink, and proceed with the daunting task of removing the built-up debris that is slowing your drain down. Once you have removed all or most of the debris, pour your enzymatic cleaning solution into your drain and, voila! You’ll have clean pipes free of debris for quick drainage. On the other hand, if you’d rather not deal with cleaning out your drains, you can always call us to come clean and replace your bathroom plumbing system to give you a fresh start for spring! Oh, and did we mention that you’ll want to do the same for your bathtub and shower drains? Good luck! After you’ve finished with your drains, inspect the pipes and fixtures located under your vanity in your cabinet. Check for leaks, standing water, and signs of deteriorating plumbing fixtures like rust. 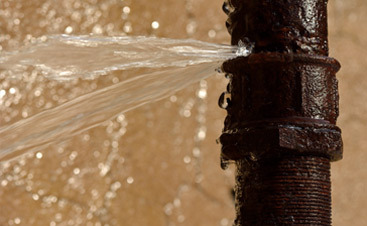 If you notice a leak, call your trusted local plumbers in Circleville! You’ll also want to inspect the faucet in your sink and in your bathtub. Be sure to check the showerheads, too. Check for leaks or signs of deterioration, and clean, repair, or replace any faucet components to ensure they are functioning at peak performance and efficiency. Now that that’s out of the way, you can move on to the toilet. Yay! If your toilet has been running, or if any of the plumbing fixtures need to be replaced, there’s no better time than now to take care of them. Check for water on the floor around your toilet which means there’s a leak. If there is water, you may need to replace the wax ring, which is a simple fix. Next, check the flushing components, including the handle, the lever and arm, the chain, the flapper valve, and all the connecting pieces. Make sure all the valves are clean and working properly and that the water levels are right. These are just a few ways to spring clean your plumbing this year. Tune in for part two as we continue looking at tips for cleaning and maintaining all the plumbing features in your home. 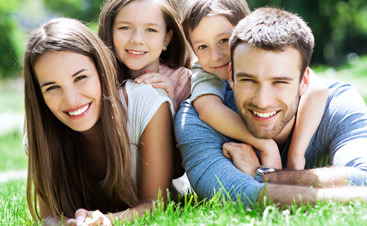 If you would like to schedule a springtime plumbing inspection, need a leak repair, or need new pipes installed, call your trusted plumbers in Circleville at Mojica Plumbing and Drain Cleaning. You have plumbing problems and we have all your plumbing solutions, so contact us today!